Another great recipe from the original Best of Bridge book, and something Mom made fairly regularly. It’s suggested to serve this over rice but mashed potatoes is our usual. Preheat the oven to 350 and spray a 4L casserole dish. Put the chicken in a Ziploc bag with the seasoned flour (you may need more than the 1/2 cup), seal the bag and shake to coat. Heat the oil in a large skillet and cook for 2-3 minutes per side until there is no pink showing. 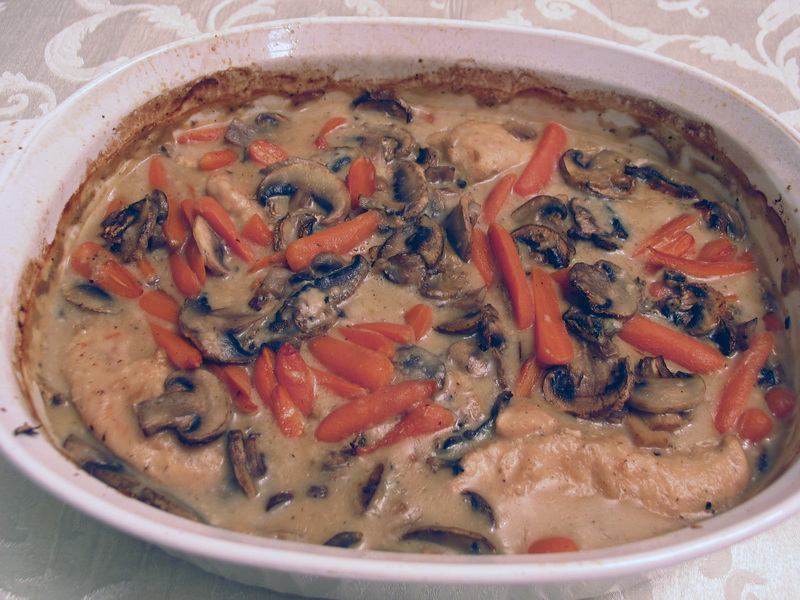 Transfer the cooked chicken to the casserole and cover evenly with the carrots and mushrooms. 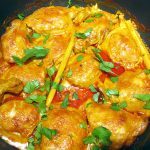 In a separate bowl, whisk together the remaining ingredients and pour over the chicken and vegetables. Bake for 1 hour, making sure to give it a stir half way through. We also discovered that this was great with firm tofu substituted for the chicken. Easy!